I thought this was a great story with photos of a place to visit on Santorini. Until I became an expat or global nomad, whatever I am, I had no idea that a simple and ordinary matter such as getting your haircut would vary so much from culture to culture. For instance in Prague where I am currently living there are no local barbershops; the Czechs either have it done at home or go to a beauty salon. In recent times there are high end salons that cater to men only. I find that the only way to get an economical and decent haircut is to find an older woman at a local salon, younger women just do not have enough experience with men . . . cutting their hair that is. Sorry Greeks, but the best hair cut and barber experience I ever had was in Istanbul. There it is common to recognize the barbershops by the towels hanging outside to dry. In this case the shop near where we were staying looked clean and neat. I got a perfect cut, a beard trim with hot towels and my ear hairs singed for something like $10. The barber didn't speak English but a fellow customer did so we had a great time. 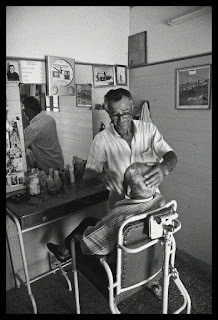 Among the worst haircuts was during the process of finding a barber on Paros. In Naoussa there was an old Greek who looked like a German and insisted on cutting my hair the way he wanted not they way I wanted. In Parikia the guy on Market street obviously did not want to serve me, saying the shop was full when no one else was there. 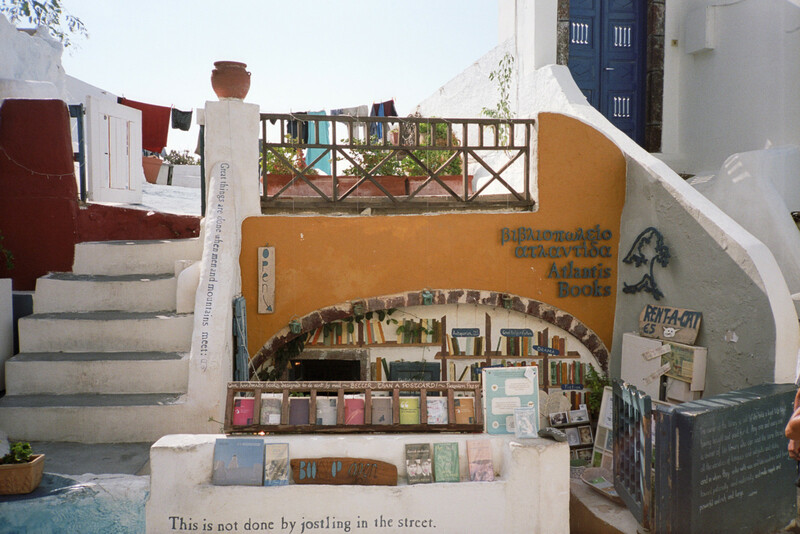 Finally a friend directed me to a little shop on a back alley with no sign and often as not a locked door. To get a haircut you knocked at the barber's house door across the street and if his wife was there to hear you he came out and opened the shop. 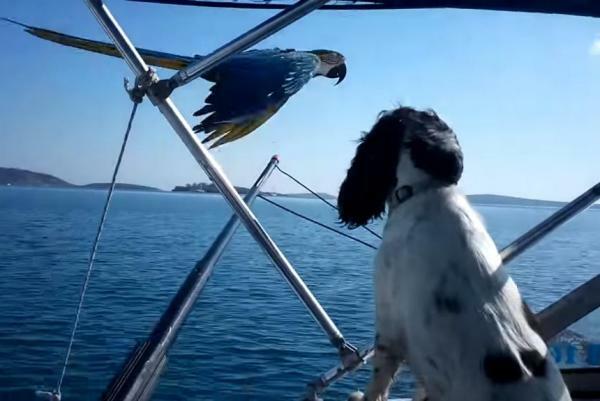 You see, he was deaf and mute. It only took two cuts for him to learn how I liked it. Which brings us to the impetus to write this post. 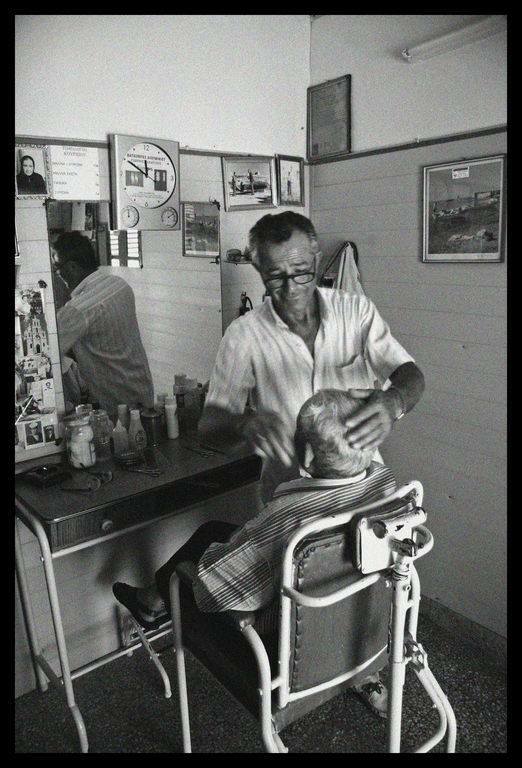 On Facebook I discovered a bunch of old photos of Paros that included one of my barber. The photo may be old but he and the shop look the same as when I was there.